By Charlotte Debeugney, a British nutritionist and author, based in France. What a difference 40+ years makes! Hands up who remembers the arrival of the world-wide web in 1989?! Once upon a time there were little if any resources or support for women going through the menopause and it was something talked about behind closed doors or with close friends. It often led to women feeling isolated and struggling silently to deal with their symptoms and concerns. Now let’s roll forward to today and give a cheer of gratitude for the resources and support that we now have. Women can openly share and discuss their concerns, receiving tips and advice to help guide them through the menopause and manage their symptoms. Bring on the sisterhood! It’s just fabulous! It’s this positivity that I want to explore in this article. 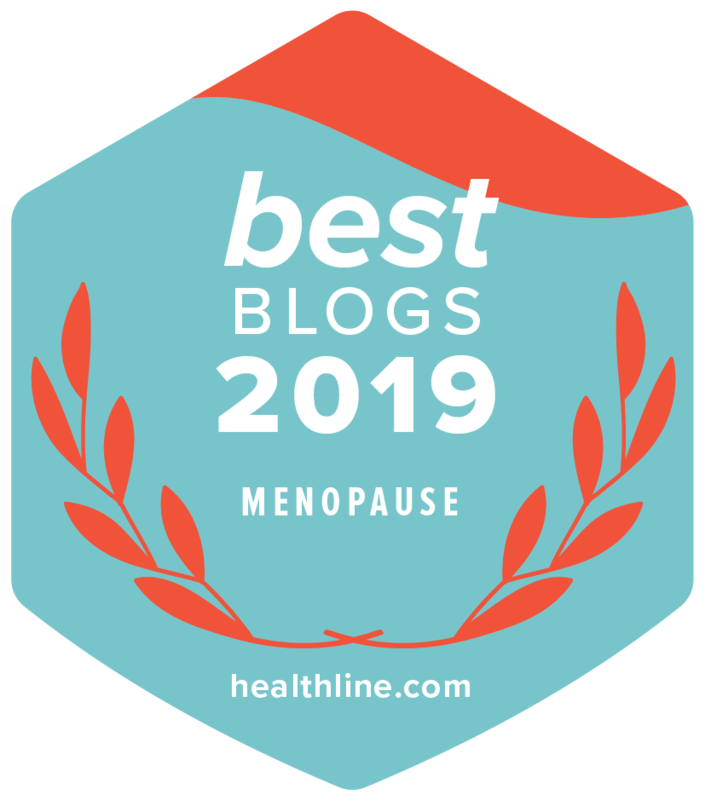 Yes, the menopause can indeed trigger a range of distressing symptoms ranging from forgetfulness and mild anxiety, through to mood swings, depression, severe fatigue and hot flushes. If we add to this potent mix, the signs of aging such as potential weight gain, dry and brittle hair and wrinkles, it’s understandable that some of us might (just sometimes!) mutter ‘it’s all downhill from here’. But no, let’s let out a roar and stand tall and proud. There is nothing that that can’t be achieved with a positive mindset. Two of my favourite quotes? Emily Dickinson, a 19th century poet ‘We turn not older with years, but newer every day’. I’ve always interpreted this as meaning that age allows us to keep seeing and exploring with a new perspective. My other favourite (and don’t laugh!) is Dory from the film Finding Nemo, ‘Just keep swimming’’which I interpret as regardless of what happens, we need to try and keep moving forwards. I’m sure I am not the only one who has already lost friends and family members far too young. It is truly an honour and a privilege to grow old when others don’t have that opportunity. Last quote then – ‘We honour our dead by living well’ and this is why we need to wake up every morning with a smile on our faces and a zest for the day ahead. I sometimes think how wonderful it would be to go back in time to my 25-year-old self, but knowing what I know now. I’d tell her not to waste time with idiots, that some people can’t be saved, to be kinder to her family, to seize every opportunity and to take far more risks! With age comes wisdom, perspective and experience. It’s priceless! And, we can continue to build and develop these skills throughout our 50’s, 60’s and beyond. We are walking professional Wikipediaes! The only barriers are in our minds. So, if you want to learn a new language, travel, take up a new sport, etc etc., we can, we certainly can. Post menopause is a time for many women when they finally have some breathing space for themselves. The children are independent and/or have left home and there’s often more financial security. It’s a nice hiatus or ‘revaluation’ period and a bit of ‘me please time’ before the grandchildren arrive and/or elderly parents start to need more hands-on support. For some women, it’s a period of reinvention; a new lifestyle and a new career or interests. For other women, it simply allows them to appreciate what they’ve got. There are no hard and fast rules, you certainly should not feel that you must get a haircut, change your wardrobe, redesign your house and learn mandarin! If your idea of bliss is a cuddle on the sofa and a day of back to back Netflix, then enjoy this too! Age makes us works of art! You should also feel free to shake off any preconceptions about what you should and should not wear. The only golden rule is that there is no golden rule. You wear what you like and what makes you feel good. Heard you shouldn’t wear a mini-skirt/shorts or short sleeved tops above the age of 50? Rubbish! Wear it and rock it. here’s nothing more satisfying then defying conventions! It is never too late to make a few gentle tweaks to your diet and lifestyle. We can’t fight against aging and indeed, why should we? But a healthy lifestyle is going to help give us the energy and vitality we need to party in our 50’s and beyond! And, it doesn’t have to be complicated – a daily walk, lots of vegetables, sufficient calcium to prevent our bones, some healthy fats for brain health, an awareness of stress management, a good sleep routine and a daily dose of laughter. By our resident nutritionist Charlotte Debeugney, a British nutritionist, based in France.